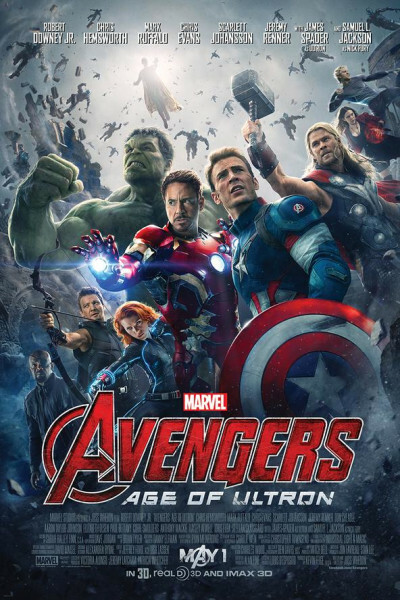 There is so very little to be added to what has already been said about Avengers: Age of Ultron. My only 3¢ are these: (1) It’s exactly what you expect which, to my way of thinking, is great popcorny fun. (2) I love James Spader; he’s so great at playing mischievous, but he wore on me. He—and the filmmakers—are so enamored with his voice that he just prattles on and on and on like someone who's been left alone too long. "You’re threatening; I get it. Next!" (3) Fortunately, unlike 2013’s Man of Steel starring Henry Cavill, Ultron does not devolve into a Transformer’s-like level of clashing and clanging and banging metal for two inane hours. I love me some special effects, but in moderation. This latest Avengers installment does well to avoid so much insanity. Along with nearly 7B others, I, too, look forward to Abram’s Star Wars in December, as it will be lite on bluescreen, and heavy-heavy on old school creations. Let’s do this thang.